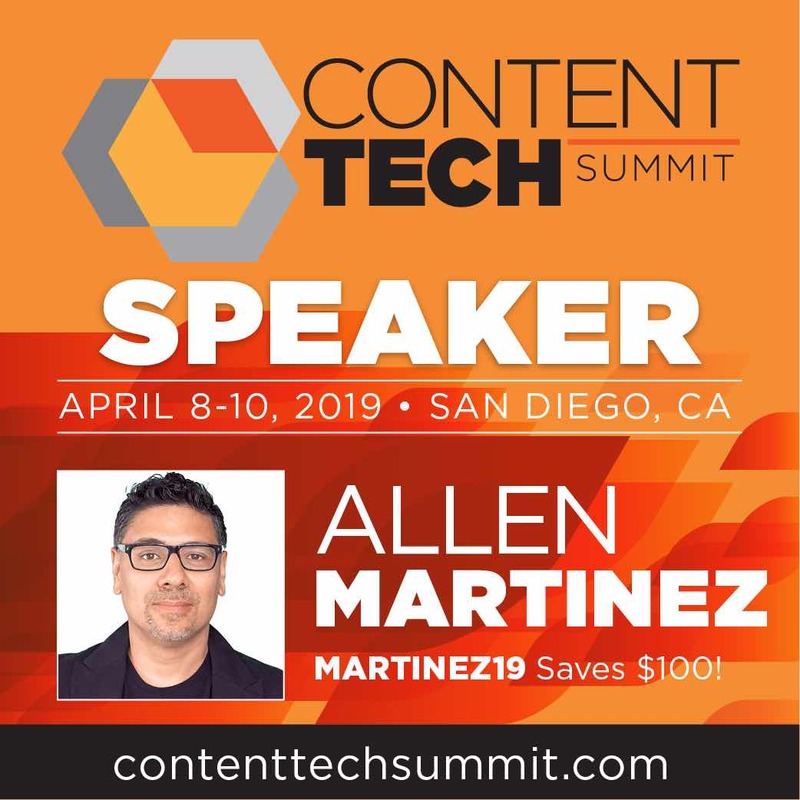 On April 10th 2019 at 11am, Allen Martinez, an author for the Content Marketing Institute will be speaking in the track “Future of Content” As technology advances, the art and science of storytelling continue’s to play a powerful role in marketing. This session provides an understanding of what makes storytelling engaging and explores how technology can better facilitate the power of storytelling as well as create more engagement through all this exciting new tech. Allen Martinez shared his insights on storytelling through video and digital marketing at INBOUND 2018, Hubspot’s premiere annual marketing conference with 25,000 attendees. His room was packed and had an additional overflow room… overall we got a great response from the attendees. Find the writings of Allen Martinez at Marketingland. Read his latest thoughts on the state of branding, website design, video creation, digital marketing and more. Read more HERE. Find the writings of Allen Martinez at Content Marketing Institute Read his latest thoughts on the state of branding, website design, video creation, digital marketing and more. Read more HERE. 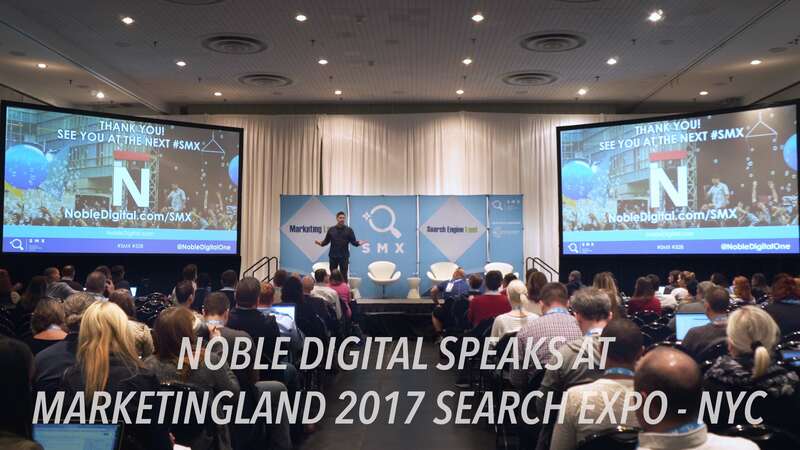 Founder of Noble Digital, Allen Martinez @ Marketing Land Expo, October 26th 2017, in New York City. 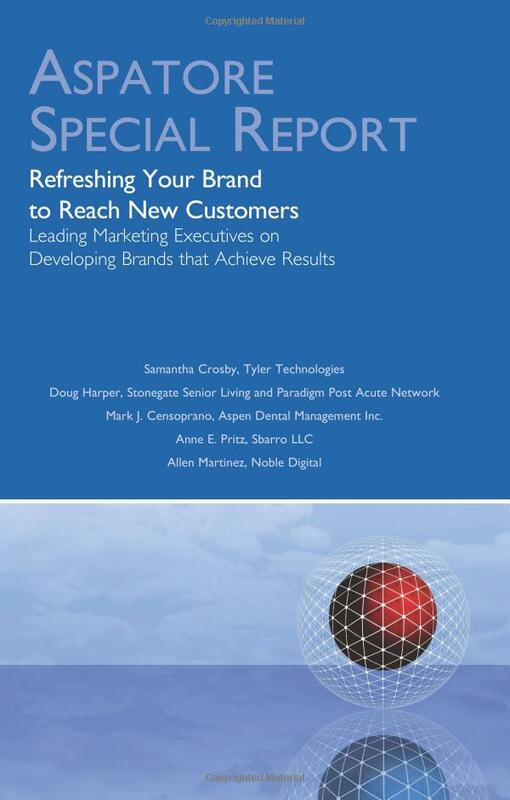 Refreshing Your Brand to Reach New Customers is an authoritative, insider’s perspective on the process of tackling rebranding and setting a positive course for a brand’s future. Thomson Reuters published Martinez’s writings as part of their ‘Inside the Minds’ series targeting CMOs for a glimpse of his digital advertising insights. Using technology to track and understand your data better. Ways to think about how to get data working for you. Understanding the meaning of pay-per-click or -impression or -lead is a new layer of marketing that goes deeper into real-time measurement and people’s behaviors. Strategy, branding, social media, brand-response and so much more—marketing success in the digital era has new meanings—but our methodologies will guide your needs. Reaching the right audiences, connecting with multiple generations, shifting quickly based on data insights, all great needs for better ROI and positive brand awareness. Noble Digital Founder, Chief Strategist and Executive Producer, Allen Martinez has created national campaigns for some of the largest brands on the planet, including Coca-Cola, Plated, In-Bev, Subway, Nestle, AT&T, Anheuser-Busch, Quest, Hilton Hotels, Burger King, Univision, Yamaha, Miller Lite, Proctor & Gamble, McDonald’s, Heineken, Orbitz, Wrigley’s as well has helping startups scale adapting some of the same principals that F500 use. He began his career in film and television production when he was hired out of Art Center College of Design by Lawrence Bender (Inconvenient Truth, Pulp Fiction, Inglorious Basterds) at A Band Apart. As a budding storyteller, he was selected by Matt Damon and Ben Affleck as a Top 10 director finalist for HBO’s Project Greenlight. Allen writes about content strategies for Marketingland.com and Content Marketing Institute.